EA will let Battlefield 1 players rent their own servers, just not at launch. When Battlefield 1 launches on October 21, you won't be able to rent your own server for the World War I shooter. However, that will change "close after launch," EA says. In a blog post on the game's official site, the company explained how their "Rent-a-Server Program" will work. Instead of allowing third-party companies to rent servers as they have in the past, EA plans to provide all servers itself. The company says that this will allow it to "secure the quality of the actual hardware" and "give everyone the same uniform experience." If you do choose to rent a server, you'll be able to customize several things on it. These include server name, map rotation, game mode, and various game play settings, just to name a few. EA says that it "might restrict number of game modes available at launch and gradually enable them based on feedback and other circumstances," but that it plans to continue adding options "throughout 2016." I can see this being both a good and a bad thing. Having EA control the hardware means that all servers should be similar in performance, and updated promptly. It also means that you'll have access to every official option on your server. Of course, the flipside is that you may be limited in which options you can change, and if mods become a thing for Battlefield 1, you may have difficulty running them on an official server. Finally, you'll be restricted to server locations that EA chooses to support, rather than having multiple providers around the world. 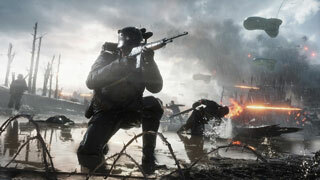 Still, it's good to see EA plans to allow for private servers Battlefield 1. It's hard to imagine a Battlefield game without them. Battlefield 1 launches on October 21, but if you're an EA Access or Origin Access subscriber, you'll be able to start playing part of the game tomorrow (Oct 13). If you pick up the Early Enlister Edition of the game ($80), you'll get access on October 18.